Shoes are obviously a very subjective and personal thing. I mean, everyone has different feet, a different stride, and a method of movement. That’s pretty obvious. 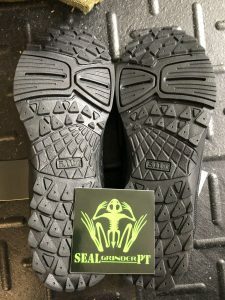 What wasn’t obvious to me was that 5.11 makes awesome shoes – not just boots, gear, and plate carriers. That has obviously changed. I was highly impressed with these trainers right out of the box. While not the most lightweight shoe, they are light enough to log miles or slay some WODs in. They are sturdy, comfortable, and have great arch support. But it doesn’t end there. 5.11 has a history of being dedicated to the guardians out there – the LEO, Military, and first responders that keep us all safe. These shoes hold fast in that dedication. 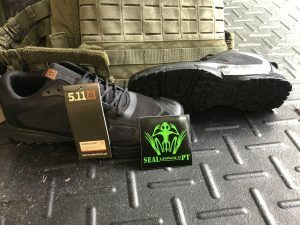 As you can see in the photo, we’re starting to review from the ground up for these 5.11 Tactical Men’s ABR Trainer Shoes. The soles of this shoe are very tacky and flexible, which means good traction. What’s more, they’re comfortble and quiet. Whether I walked around town or did some box jumps, these shoes were very, very comfortable. Also, what I found most refreshing was the arch support. 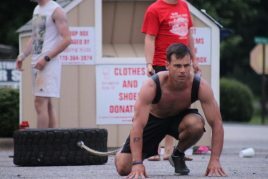 As you can see from the molding on shoes and the countouring to the side, these also excel in rope climbs. Rope-Ready technology on the sides is durable, and trust me, has gotten much more dinged up since these unboxing photos. It’s leather-like, but more durable and the ropes pass freely off it. 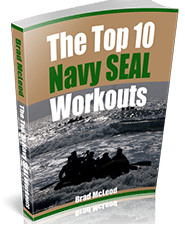 Given this niched feature, you can see the appeal to crossfitters and fastropers alike. WHat I also really like about the construction of these trainers is the way the sole is molded to the upper. I used to wear Inov8s all the time when I worked out, but in the last few years their quality control has slipped, and I’d have soles peeling back after only a few workouts. Unacceptable. 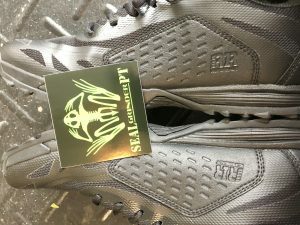 There are other Crossfit style shoes out there like the Nanos and Nobull offerings, but they never fit like 5.11 Tactical Men’s ABR Trainer Shoes my foot quite right. 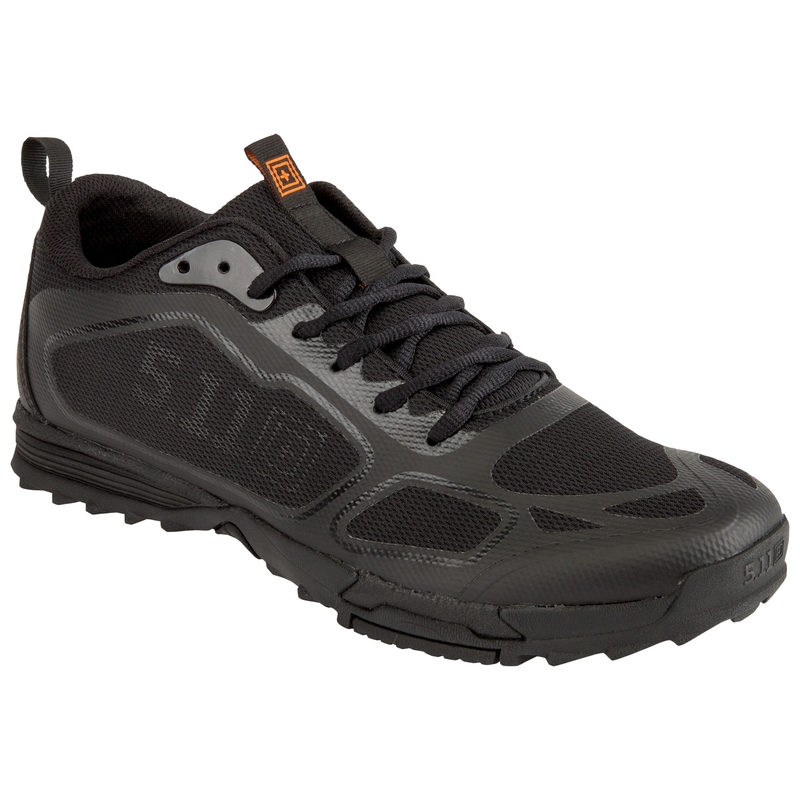 I really like these 5.11s for crosstraining, and I’m even looking to test them out on the trails. With the aggressive sole and comfort, as well as arch support, I think they will fare well there as well. 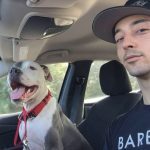 What’s more, they’re stylish, and you can wear them with street clothes, not just in the gym or on duty. and look forward to putting them through the paces on the trails. Thus far, I have nothing at all bad to say about them, not even anything nitpicky like “the color” or some other detail that isn’t germane to how the gear actually performs. Pros, what we like: Tacky sole, comfortable with outstanding arch support, great traction, solid construction, stylish, and rope climb friendly. Aces all around. Cons, what we don’t like: Nada, wish I had a couple more pairs. CLICK HERE FOR FREE SHIPPING ON 5.11 TACTICAL!